We traverse and navigate a multitude of boundaries on a daily basis. We move to and from places, between moments and zones which becomes our blueprint to occupying space. Consider the Cartesian mapping of your daily life, the rooms you occupy, spaces you inhabit and distances you traverse. Then, consider the active (although mostly peripheral) role that architecture assumes in aiding your transitory lifestyle. It has become increasingly evident that the importance of thresholds spaces/junctions that define certain spatial experiences, be it public or private, are being neglected for the image of what makes good architecture. Architecture that responds well in a publication, that teases the eyes and the mind that entices one to say that it is beautiful. I would be so bold as to state that beautiful architecture cannot be seen unless it is felt. At the very root of what constitutes architecture lies this notion of transition. Defined as thresholds, the seemingly liminal border between two conditions, thresholds become interruptions in the ebb & flow of daily life. If for a brief moment, architecture is granted the liberty of being reduced to a simple notion of a threshold space, the portal separating one space from the next, a closed and then open door, an opaque window, it becomes evident that it is perhaps the most significant spatial mechanism available to makers of space. Why then would we absolve it from the necessary importance? 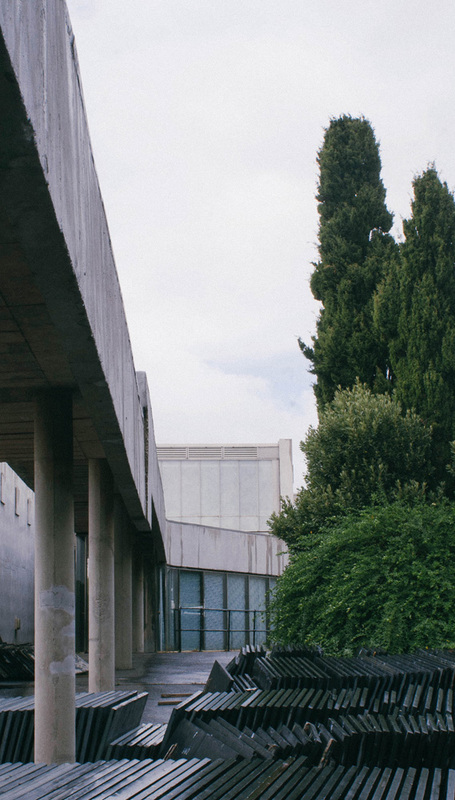 This article aims to re-introduce the necessary importance of the threshold into public practice through a particularly important building. 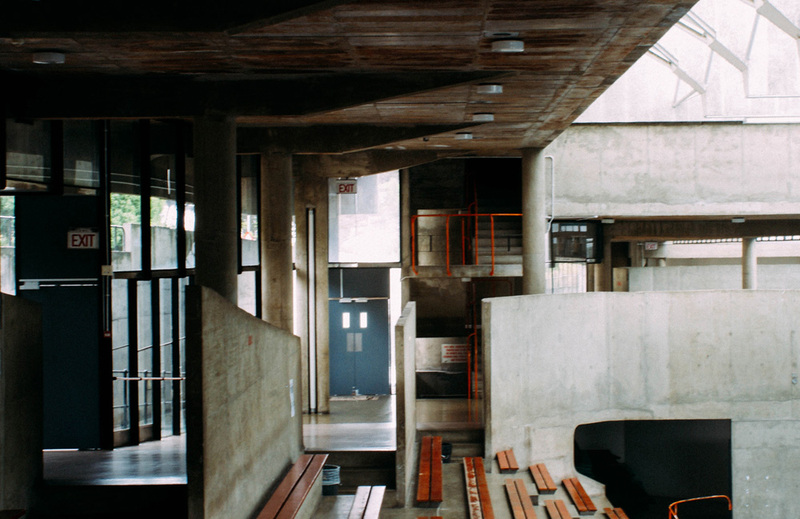 A beautiful manifestation of this choreographic tool/mechanism is evident throughout the design of the UCT Sports Centre in Cape Town, South Africa. 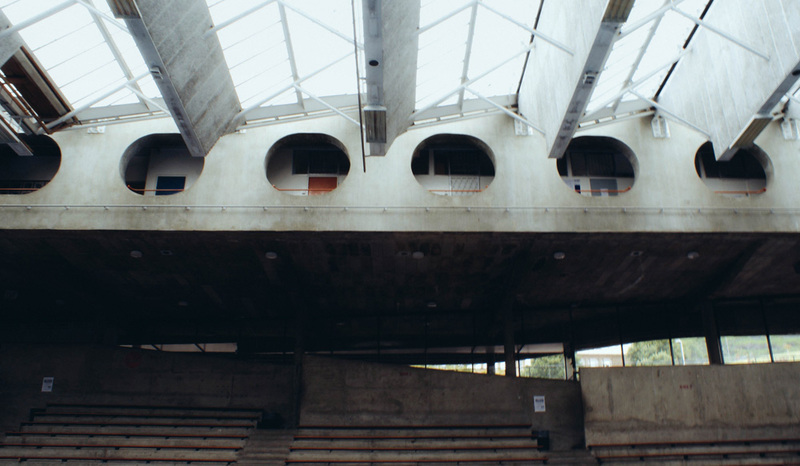 Designed by Roelof Sarel Uytenbogaardt in 1969, this sports centre proves an extensive exercise in transitional spatial topographies. 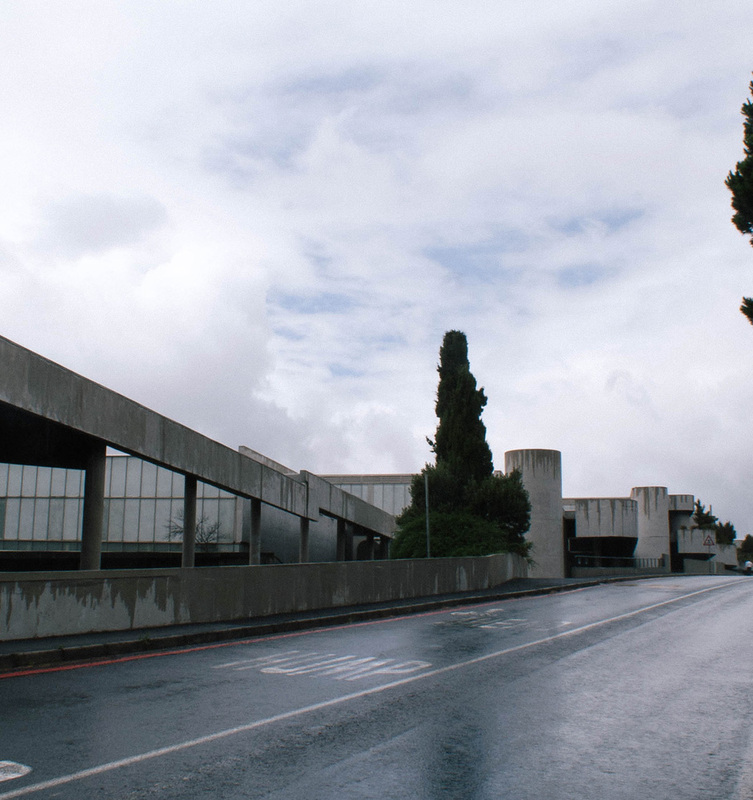 Upon visiting this gem, the approach (on a rather dull and dreary day – which the architecture was all too happy to console with) was followed as envisaged by Uytenbogaardt. 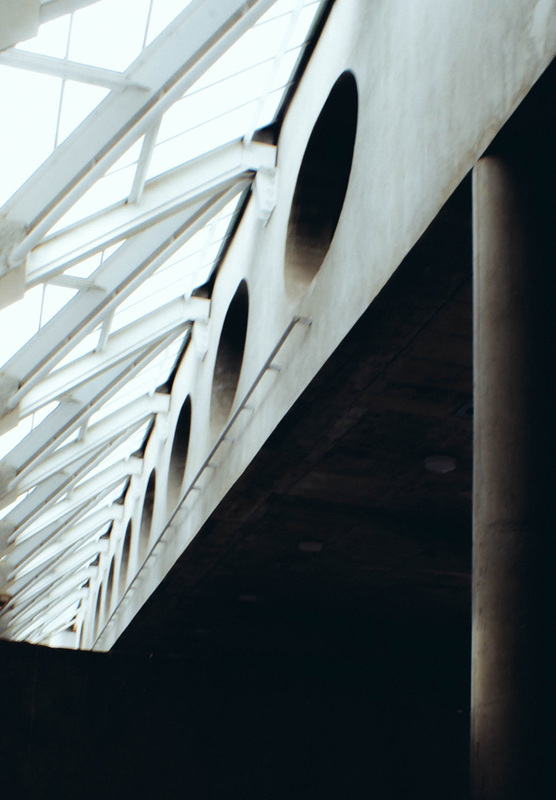 Commencing from the parking lot, the covered architectural promenade pulls one up from the lower levels, as if gravity is reversed. 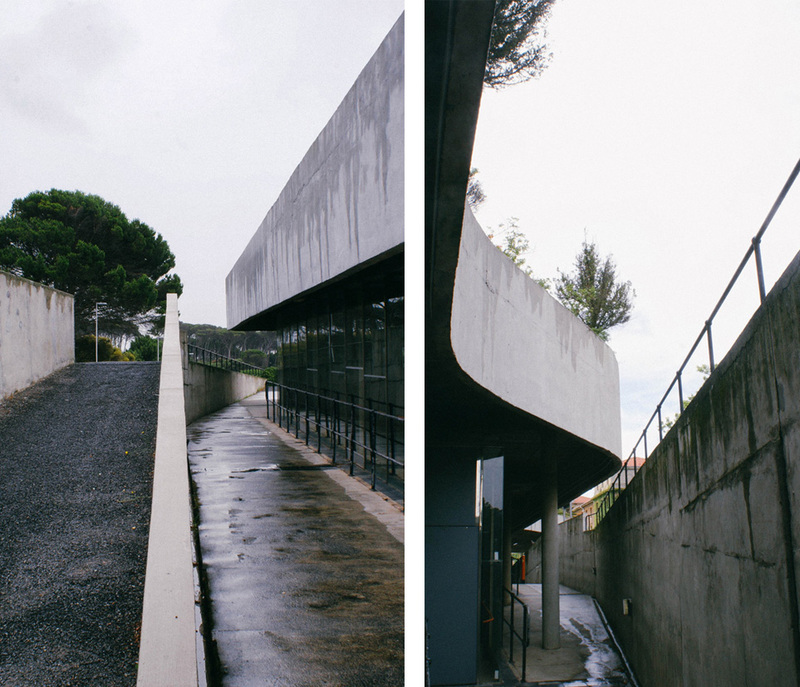 The roof mimics and accentuates the sloping tarmac, rectifying its own form as one approaches the main entrance. The original slate tiles that donned that façade, line the walkway – a semblance of prominence. The approach to the Main Entrance is conjoined with the level of the adjacent road, with the columns framing the approach set oblique to the entrance threshold, slowing down the journey, halting extensive movements (the front door – if it really has one – is locked, still a threshold then?). Walking alongside the road, the walkway descends subtly into a lower level to that of the road. 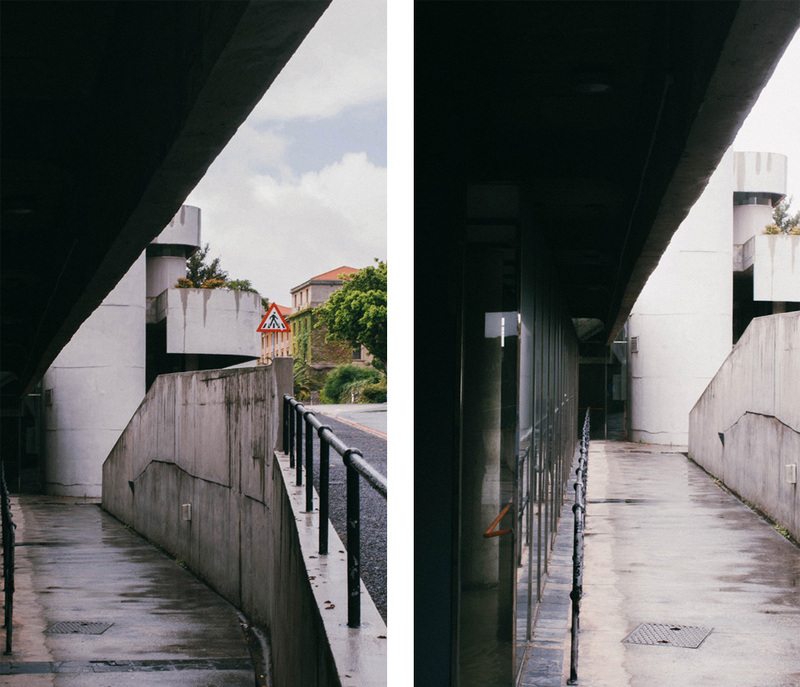 The road level is raised, while the ramp descends into the inner volumes. This becomes even more evident with the extension of the façade over and down the glazed walls, seemingly like a skirt. 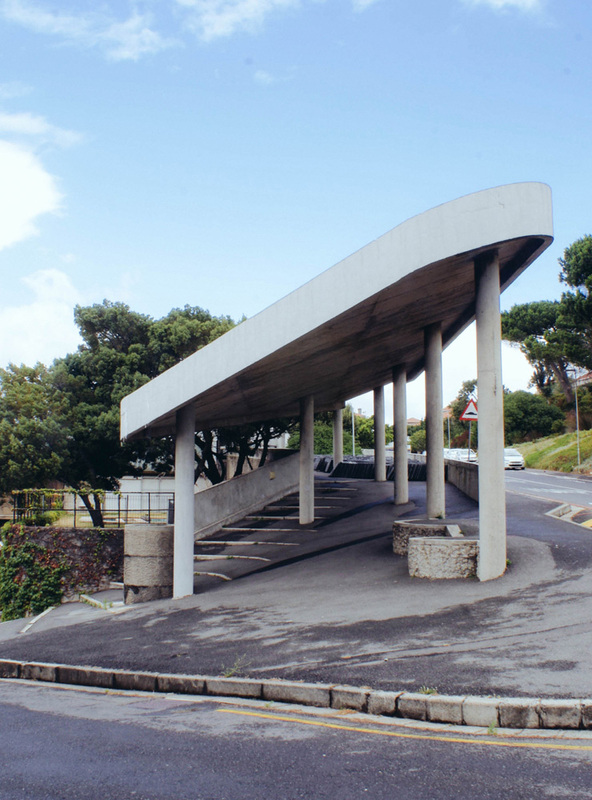 Perhaps this is where Le Corbusier’s fascination with the ramp finds its foothold, the seamless and continuous connection of space. The walkways are carefully considered and moulded, revealing hidden geometries, celebrated connections and intriguing moments. The space you occupy is essentially transitory. The journey is deliberate and considered, contained and yet free. Upon entering the building through a guided (the others were all locked) entrance, it becomes quite clear that descending into the building you find yourself at the highest volume level. The channelling of movement from the road, parking lot, to the sunken walkway into the interior is ingeniously similar to funnelling cattle, slowing down movement, forcing consideration of crossing the thresholds. From here you observe the athletes in one of the four halls. This mechanism ensures the careful manipulation of circulation so as to not impede the athletes, reducing unwanted sounds, and excessive visible movement from hundreds of spectators. There are four sports halls, with ancillary functions on the opposite end of the circulation routes. These comprise cloakrooms, a restaurant and squash courts. Bridges link these spaces to the main spectacle, thereby framing the individual halls, and affording additional platforms for viewing. The entire building consists of various ramps at various degrees of steepness. The internal spatial volumes are attached to these ramps, and thereby become secondary to it. This ramped walkway is evidently omnipresent. 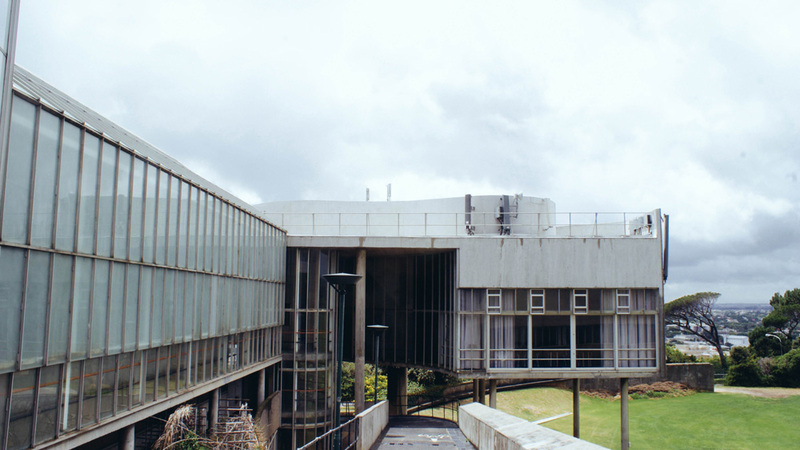 The intention, similar to the Carpenter Centre by Le Corbusier, was for the reduction of formal thresholds, opting instead for continued transitional parts. This transitional approach is extended to invite the adjacent sports field into its arms, seemingly enfolding the field as it embraces its proximity and relationship, imposing itself quite dexterously. This spatial penetration links the Centre to adjoining campus zones, dictating direction, pace and choreographing approach. 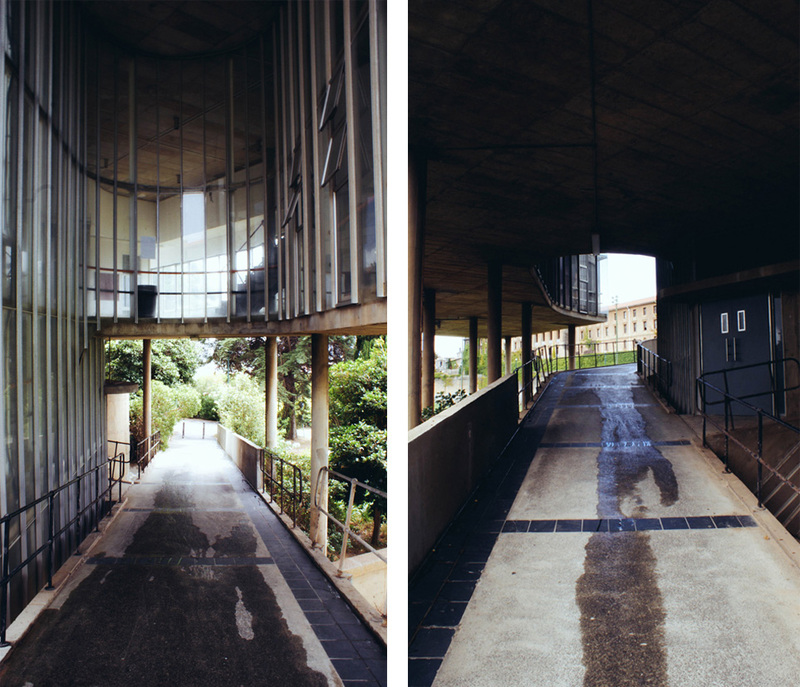 Discovering the UCT Sports Centre on such an intimate level, getting to know the personality of its fabric, subsequently leads to questions about the architecture, contexts we impose on ourselves and other people in our daily lives. Are we, as Architects, still considering the occupant? The end user? As a tactic, tool and mechanism of architectural design, the obligation lies on architects, makers of space to shape and engage with the very fabric we inhabit and dwell alongside. The 21st century architect (and public) is so concerned with the perception of something, rather than its sensation, so concerned with the individual, that the notion of individuals, perceptive and sensational human beings in conjunction with space is all but removed. A simple scheme for choreographing space could prove significant in our perception of space, and occupation of place in a world where space is being reduced to the virtual – where we occupy a realm without a between, without transition. 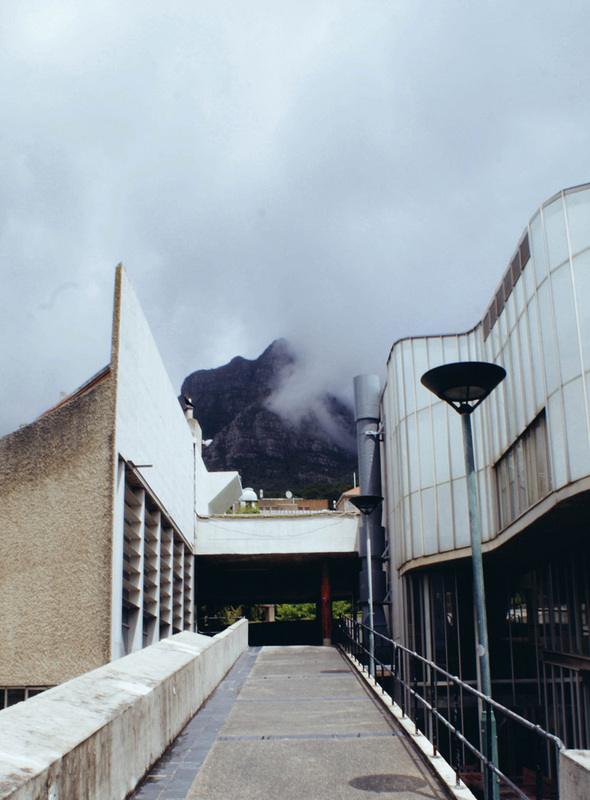 The UCT Sports Centre is a monument for the lost (not all so though) traditions of sensory living, occupying a slow time, in-between places. It stands for a transitory life, where boundaries and thresholds govern experience. It remains a reminder to architects, makers of space and occupiers of space, that we dwell in atmospheric conditions. In order to create meaningful places, the user has to be engaged in the making of space, in the activating and choreographing of space.